As we make the most of the remaining summer weeks I have planned my reading choices to fit in with the current feel of summer and indeed the months ahead. So far I have enjoyed some interesting sun-filled stories from Paul Hogarth to Laurence Durrell, Graham Greene to Paul Bowles. So my first choice is this intriguing, International Man Booker Prize winning novel by David Grossman. 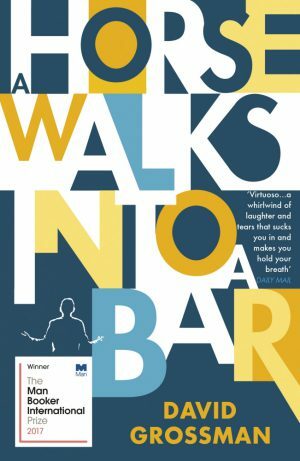 ‘A Horse Walks Into a Bar’ is set in a comedy club in a small town in Israel. The crowd witness the breakdown on-stage of a veteran comedian and rather than leave in embarrassment are drawn to his anguish and capitulation. Grossman covers a number of themes in the novel and I am looking forward to seeing what drove the Booker judges to choose this as their winner. 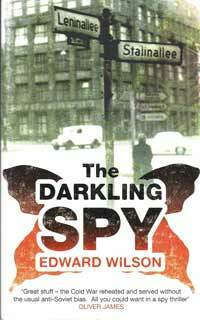 Next up and the one I am currently reading is ‘The Darkling Spy’ by the excellent Edward Wilson, a superior espionage novelist who has written a number of novels which strike close at the heart of the intelligence community, he is well-versed in the field and there are some wonderful nuances throughout the book which prove his credentials. Set largely during the Budapest Uprising of 1956 he cleverly weaves into the plot several real-life big players from East Germany’s Erich Mielke and Marcus Wolf to the major Soviet spy Alexsandr Feklisov and Bill Harvey, the American Head of Station in Berlin. Wilson gives a real sense of the times, his style is subtle and thought-provoking, he gives wonderful snippets of real life without the irritating sense of sitting in a history lesson. He is for me, one of the very best of the modern spy-fiction authors. Continuing with the spy fiction theme I am contemplating revisiting some of my favourite and classic authors, most probably John Le Carré whom I consider particularly good summer holiday reading or the great Len Deighton. With Deighton I am easily drawn to the classic Game, Set and Match trilogy, a truly outstanding collection of writing regardless of genre. But I feel as though a venture further back to the 60s is in order and this, the second in the unnamed spy adventures (Harry Palmer in the film adaptations) Horse Under Water from 1963. A glorious cover by Raymond Hawkey it was sadly never made into a film following the poor reception of Billion Dollar Brain. 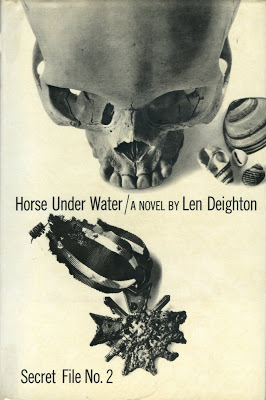 Deighton is a truly gifted author, his encyclopaedic knowledge of World War Two comes into the fore in this story of a sunken U-Boat off the Portuguese coast and the forged currencies contained within to sponsor a revolution in Portugal. So there you have it, one new, two old! I shall be dipping in and out of non-fiction essays by Hitchens, Vidal and Clive James and I am never far away from the reportage of James Cameron. I hope you have your reading choices decided and please feel free to share them on here. Happy reading!